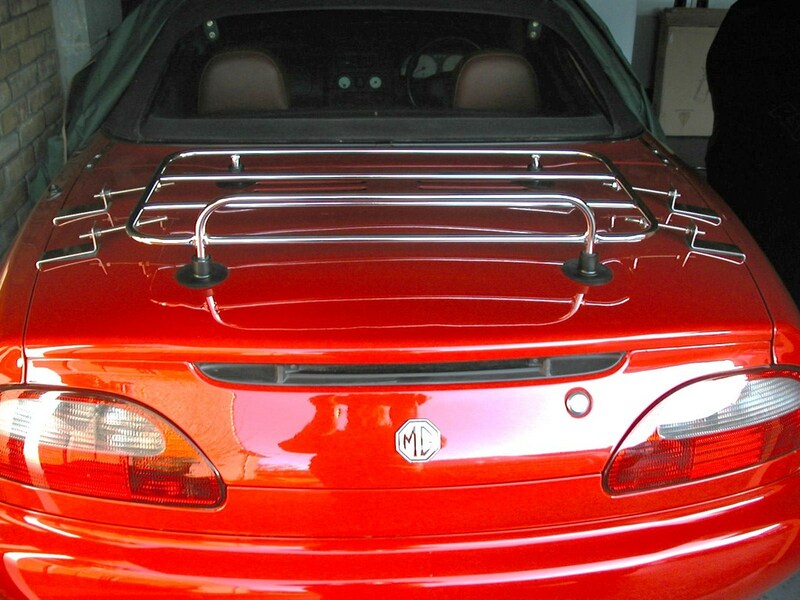 We have a choice of five styles of luggage rack available for the MGF and MGTF. 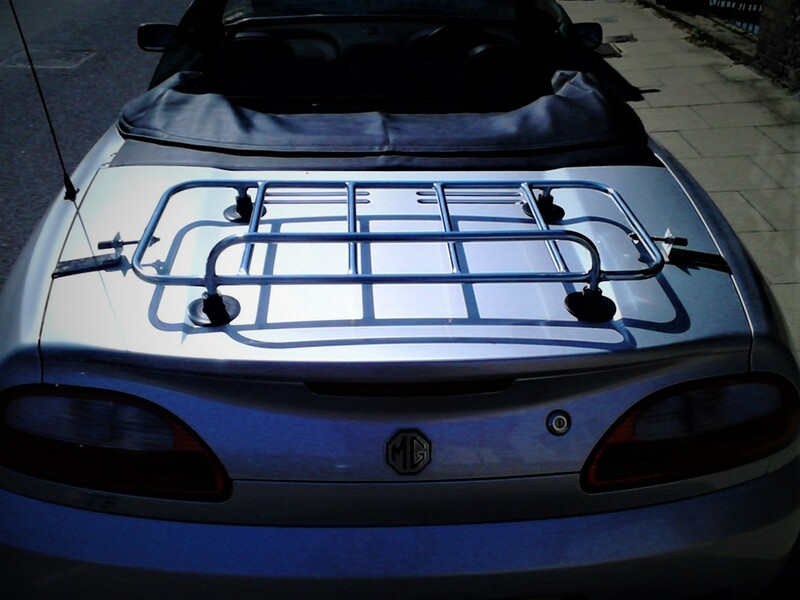 Very high quality temporary (removable) Classic Style luggage rack for the MGF and MGTF. Polished chrome finish with 4 mirror polished stainless steel side clamps for enhanced security. The side clamps include rubber inserts for paint protection. The load platform is reversible so the upstand can be mounted either way. Premium specification, mirror polished Sports Style boot luggage rack with bespoke fittings suitable for the MGF and MGTF. ​Polished chrome finish with 4 mirror polished stainless steel side clamps for enhanced security. The Classic Permanent luggage rack is available for MGF owners who wish to mount the rack with the upstand (tall part of the frame) at the rear of the car. Premium specification Classic Style boot luggage rack with bespoke fittings suitable for the MGF and MGTF. The Classic Reversible permanent luggage rack is available for MGF owners who wish to reverse mount the rack with the open upstand towards the passenger compartment, rather than at the rear of the car. Premium specification Classic Style boot luggage rack with reversible fittings suitable for the MGF and MGTF. 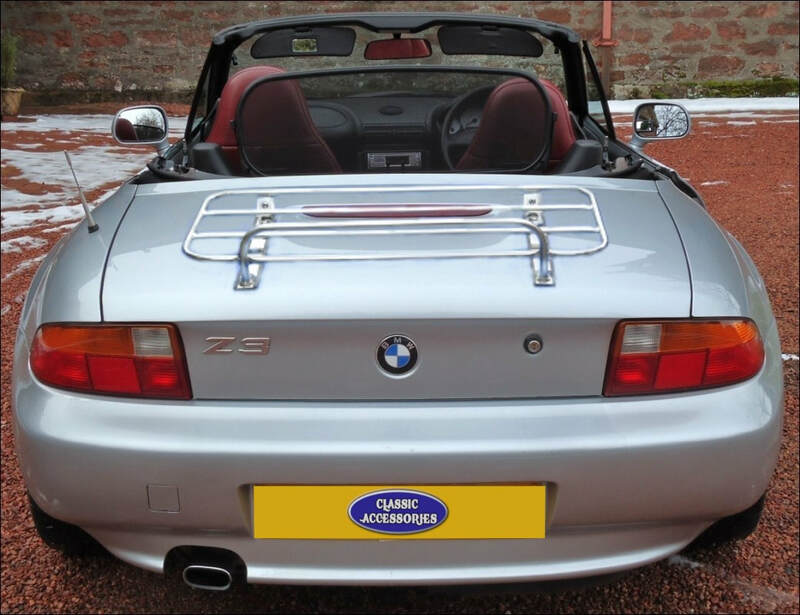 European Style boot luggage rack with bespoke fittings suitable for the MGF and MGTF. ​Supplied with Allen hardware and rubber seals.